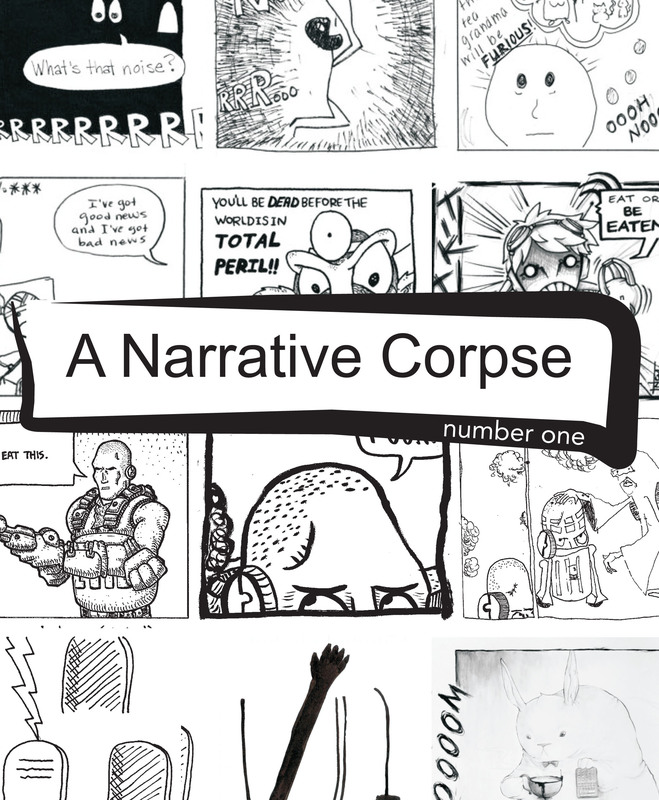 Announcing the release of our zine, collecting the Narrative Corpse postings from this blog. The first eleven strips chronicle the paper trail of A Narrative Corpse, followed by the twelve strips done in the exhibition. Digital copy here Corpse Zine. It may take some time to load.